Jeff owns an SEO company, and he has used and is still subscribing to some expensive SEO tools. Although there are lots of capable SEO tools out there, Jeff saw an opportunity in the market for a link building SEO tool that could be used by non-SEO professionals. There were two primary goals for the project. The first goal was to create a link building tool for Jeff’s team at 180 Marketing to use. The second goal was to polish it well enough so we can sell the tool as a SaaS application. One of the most significant challenges of building Link Hunter was the API integrations. Link Hunter integrates with a lot of APIs to present potentials websites to users; we had to consider user experience as we were building the integrations. Link Hunter pulls hundreds of websites on each campaign. These means from the start we had to squeeze every SQL optimization we can. We had to figure out early which tasks we can put no a Redis job so that every action a user takes is instantaneous. 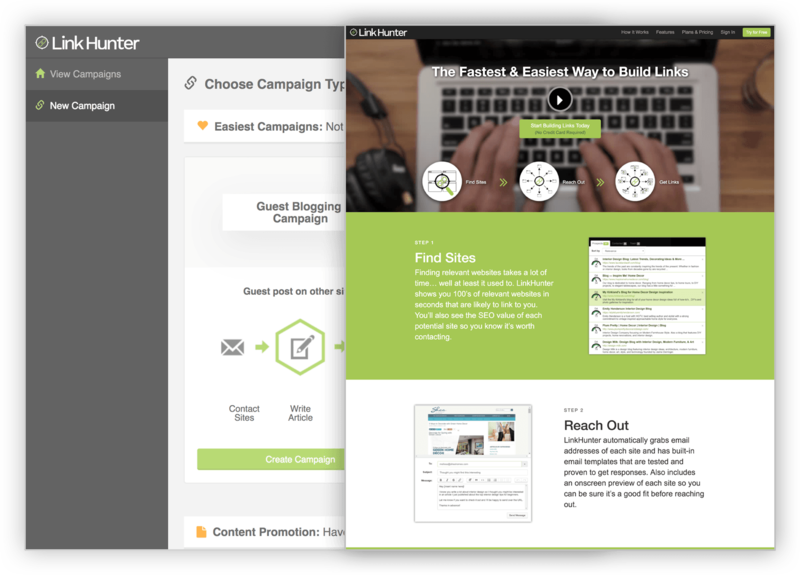 Link Hunter is one of the tools used at 180 Marketing, and it also has paying customers.